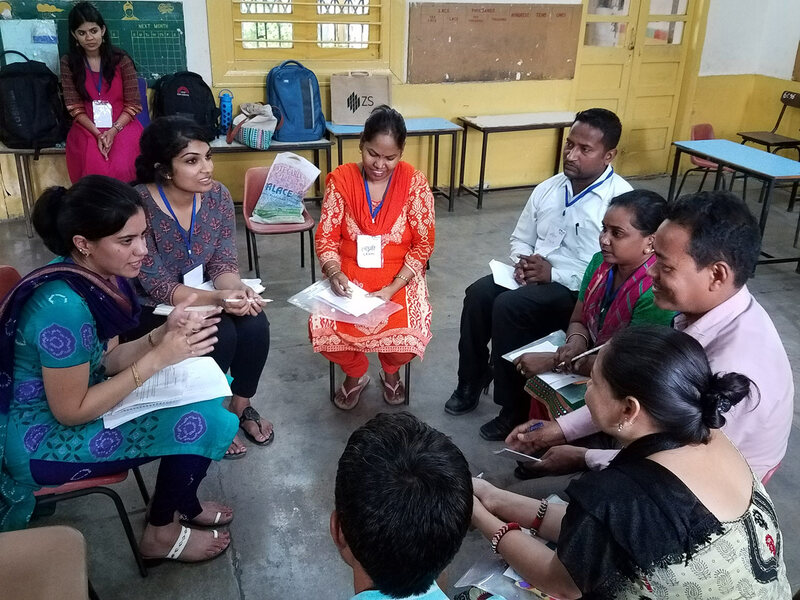 Alum Ghazal Gulati's nonprofit equips parents in India with skills and strategies to help guide their children to academic success. Ghazal Gulati, Ed.M.’15, is dedicated to improving student wellbeing and achievement in India, one parent at a time. While national governments, schools, and local leaders can provide resources to enhance educational opportunities for students, Gulati realized there is one frequently overlooked stakeholder — parents. Gulati first noticed that not all children had the same educational opportunities when she was a child and her family moved to Delhi as a result of the escalating violence in their native Kashmir. She became aware that, due to her parents’ professional degrees and their general awareness of the importance of education, she was provided more academic and economic advantages than many children in her new city. While at HGSE, Gulati learned about the issue of “supply and demand” in the Indian education system in Professor Fernando Reimers’ course on educational policy. “The government can supply the schools, the teachers, but no one is looking at the demand side of the equation and how to trigger parent engagement, so the schools are carrying the burden,” says Gulati. This is a problem that Meraki is meeting head on by recruiting parents to participate in its offerings through their children’s schools. The fellowship program lasts four months and focuses first on parents with children enrolled in kindergarten and the first grade because, Gulati explains, brain development during this time is crucial and needs to be addressed in the beginning phases of students’ education. Using curriculum provided by the Center on the Developing Child at Harvard, leaders guide parents through biweekly workshops that focus on reducing stress, improving responsiveness of relationships, and building core life skills. Following each workshop, parent and child must work together on four assigned activities in which they develop skills and strategies that will help lead them to academic success. The hope is that, as fellowship alumni, parents will become leaders in their communities, passing on to others what they learned in the Meraki workshops. This past year, the organization has worked with 900 parents in several under-resourced communities in South Delhi achieving more than 70 percent retention of parents in each workshop. Photo: Ghazal Gulati (left) conducts a Meraki parent workshop. Photo courtesy of Ghazal Gulati.